This was the first year that Niles-Maine District Library put on Library Fandom Fest and it was a good little show. 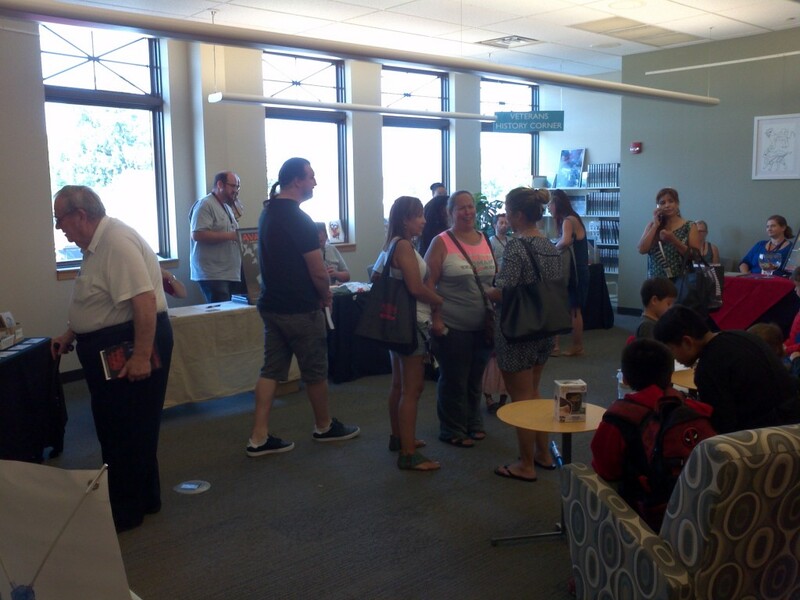 The library staff was very helpful and did a fantastic job promoting the show and bringing in a wide variety of artists/vendors and special guests in to round out their programming for the day. I was placed at the start of the artists section, which was good for me. There was plenty of traffic that flowed into the artists section, directly after the rows of vendors. The trick to this show was that the tables for artists were 6 ft long, but they were only 18 inches wide. Being that the surface area was nearly cut in half compared to a traditional folding table, the artists had to get creative with their table setups. It looks like most other artists had to go vertical, which seemed to work out just fine. For my table, this meant that I trimmed down the amount of extra props on the table to give more of a defined focus on my products. Likewise, this also led to having less of a fleshed out display, but in the end, the product is more important than the props. 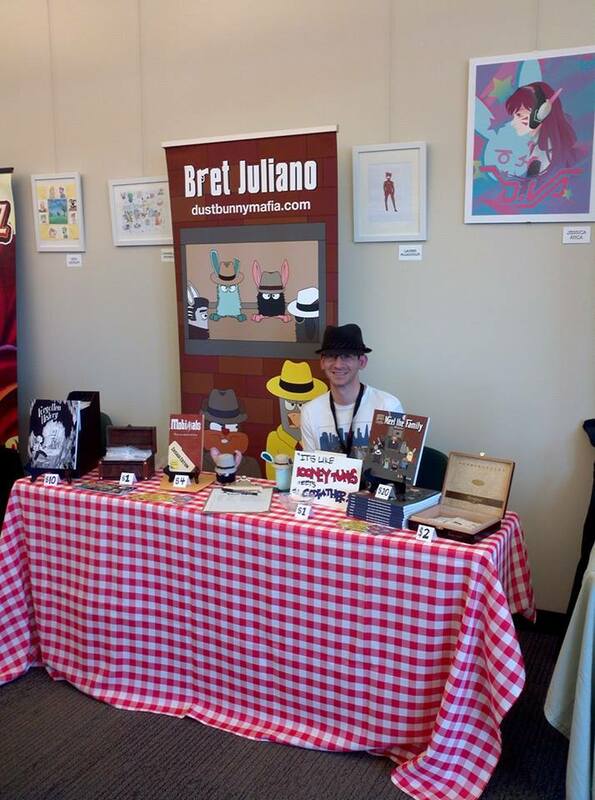 All in all, I had good sales for the fact that it’s a library show and I’m still in my first year of conventions. 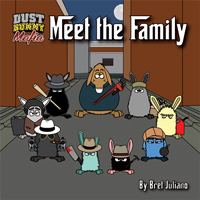 I sold three items, a Mobimals pack, a Forgotten Histories anthology and one copy of my DBM’s Meet the Family book. I would love to figure out why my smaller items aren’t selling, like stickers and button combo packs, but there just doesn’t seem to be any interest. They are cheaper, so I figured they’d be a good impulse buy for kids, but no such luck thus far. In the future, I hope to sell more of my book, Meet the Family, and then have my Mobimals pack be the second best seller, but only time will tell how that’s going to play out.